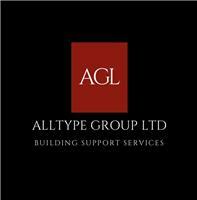 Alltype Group Ltd - Alarms/Security, Carpenter, Electrician, Painter/Decorator based in Greenhithe, Kent. Alltype Group Ltd is a building contracting company carrying out both commercial and domestic, reactive and planned preventative maintenance works. We supply, install, and maintain Fire Detection & Alarm Systems, ranging from standalone Conventional systems to multi-site networked Addressable Fire Detection systems. We have developed a strong partnership with leading Fire & Security Manufacturers, such as Hyfire, IAS Morley, Kentec & Advanced, to ensure we only provide the highest quality Fire & Security products available. Portable Extinguishers- We can cater for all extinguishing needs, from Supply & Installation to Annual Servicing. With a combined experience of over 40 years, our in-house team provides a range of services for refurbishment projects. Our services operate from repairing a small leakage from your tap or sink, to tackling a larger area of the problem, for instance a leaking roof or ceiling. Our works also range from the installation of new boilers and central heating systems as well as refurbishing existing heating and water systems. We are an accredited member of the Gas Safe Register. This certification ensures you stay safe, gives you peace of mind and helps keep you legally compliant. Please contact us on the details provided above, where we will be more than happy to discuss your requirements and provide you with a free, no obligation, quotation. Visit our website www.alltypegroup.com or take a look at our Facebook page for frequent updates!